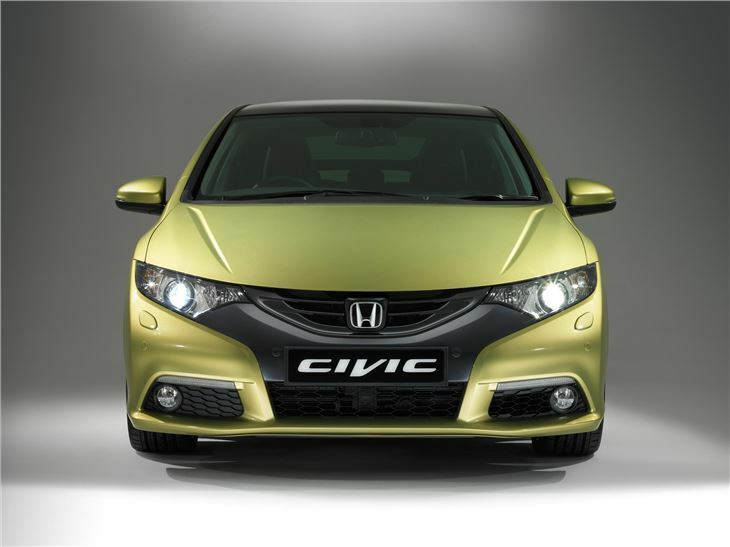 While it is an entirely new car with no common sheetmetal, the new Civic is an evolution of the 2006 Civic. 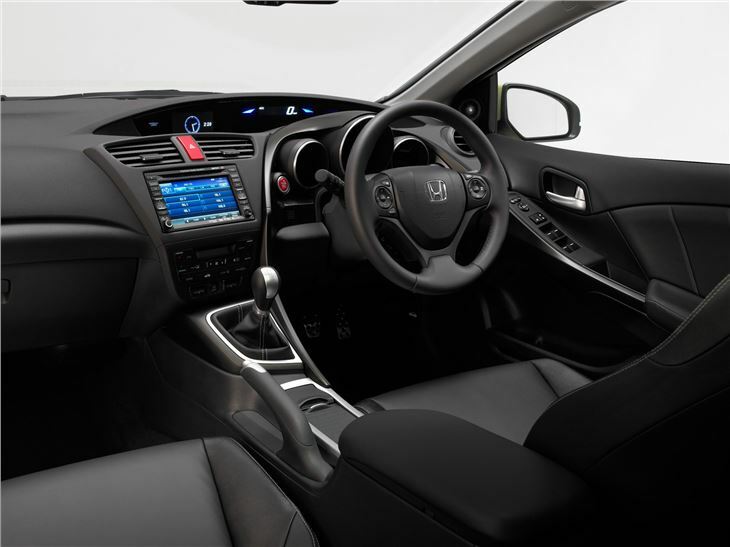 The new 2012 Honda Civic will offer a quieter and more refined driving experience to ensure comfortable journeys on all road conditions. It goes on sale in the UK in January 2012. Every change was made for a reason. In project leader Takehko Masuda’s words, “form follows function”. It is much more aerodynamic than the old car with 12.6% better CDA which brings a big improvement in high speed fuel economy. It also has much better high speed stability. At the front the grille incorporates flaps that close for engine warm up, open to cool the engine at low speeds, then close again to improve the aerodynamics at high speed. But the most important and most significant aerodynamic changes are at the rear. The spoiler is thinner and slightly lowered. The wing shaped rear lights clusters channel airflow and reduce turbulence. And small ‘spoiler’ strakes stuck to the rear sides have an important aerodynamic effect. 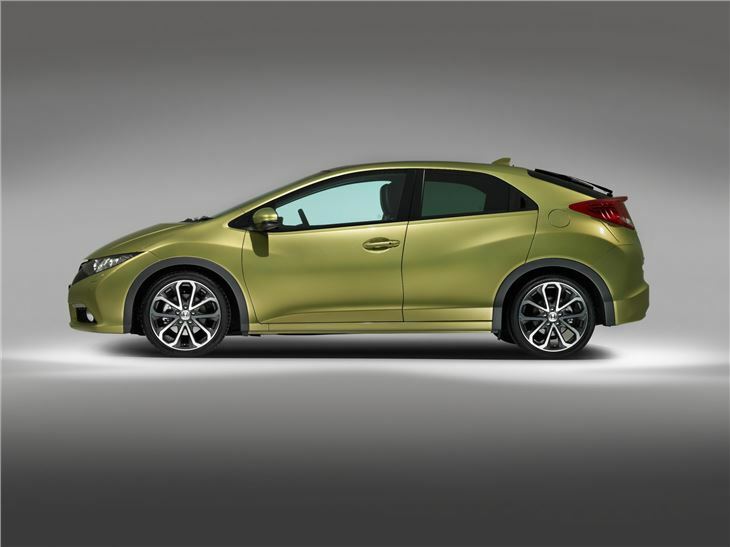 Visibility is better than the previous Civic, with slightly deeper side windows, and a rear wiper (at last). Suspension retains a rear torsion beam, but with oil filled bushes and softer springs to improve the ride quality. The front suspension is hung from a new square subframe. 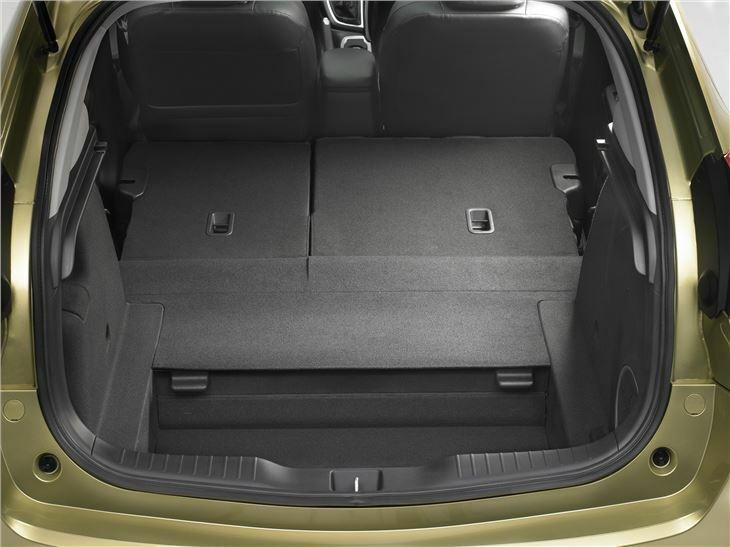 The new Civic retains the old car’s magic seats and the largest loadspace in its class of 470 litres. It has a line of sight digital speed display under the same cowling as the information display and satnav screen. The information display is controlled by steering wheel buttons. The driver interface (for driving the car) and driver/passenger interface (for operating the radio, heating, airconditioning, etc.) are clearly separated. The new 2.2iDTEC engine offers 150PS and 110g/km CO2. The 1.8i petrol is up to 142PS, with emissions of 137g/km. 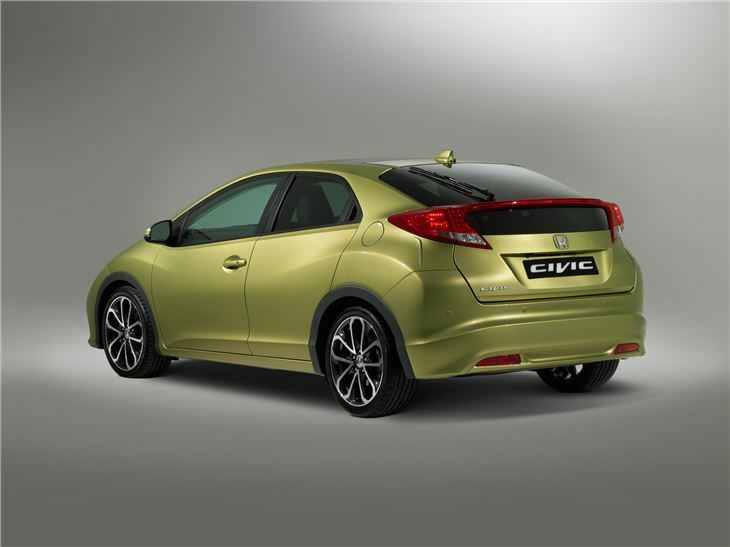 And there will also be a 1.4iVTEC, with a “smaller diesel engine” arriving towards the end of 2012. Some more small details include a switchable passenger airbag and a misfuel prevention device. 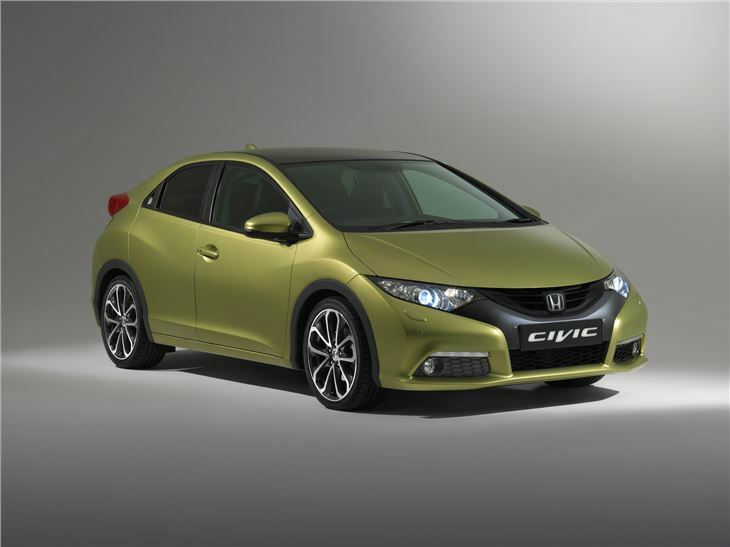 The third of five films on the development of the new Civic features Honda engineers discussing noise and refinement .